While it seems unconscionable to most, unscrupulous men and women often target senior citizens for devious scams to rob them of their money or identities. When scammers know how to confuse and gain the trust of the elderly, they have virtual free reign of bank accounts, personal information, and even assets. If you’re concerned about the well-being of a senior in your life, or if you’re a senior who wants to protect yourself, learn about common risks and scams. Then, if someone approaches you or your loved one with a potential investment or opportunity, it will be easier to determine the legitimacy of the offer. Seniors often take a myriad of prescription medication, which can be quite expensive. Sure, Medicare helps with the costs, but some seniors are still left paying hundreds of dollars per month for prescriptions. It’s no wonder that seniors are likely to fall for online schemes that promise deeply discounted prices on medication. But once shoppers hand over a credit card number, their money is taken – and they’ll never receive any medication. Plenty of seniors are eager to multiply their nest eggs to provide for a more comfortable retirement. And if they’ve already saved a tidy sum, they may have a little with which to take some risk. That makes seniors easy prey for fake “investment opportunities” that don’t really offer a return. Whether it’s plowing money into a fledgling or even fictional business, or buying vacation property that doesn’t exist, investment scams can deplete seniors of their savings in the blink of an eye. The Internet can be a confusing place for seniors who haven’t had much experience with technology. A Pew Research Internet use study found that many adults over the age of 74 use the Internet solely for health information, news, and buying products, and are not as savvy when it comes to email, social networking, and online safety. When a senior receives an email promising big returns for a small investment, it can be easy to become excited. Even if you can spot an Internet or email scam from a mile away, an unsuspecting senior might hand over his or her personal information without a second thought. How many times have you received a message in your inbox notifying you that you’re the winner of a lottery in Nigeria, or some other faraway country? Savvy Internet users know the old tricks, but less-confident seniors often fall prey to the claim that they’ve hit it big. Usually, lottery schemes operate by asking the target to pay a certain amount to redeem the cash prize, or to pay for the “shipping and handling” to receive other goods. They might also ask for bank routing and account numbers and other highly personal information, which is then used for theft. Reverse mortgages have made it possible for some seniors to have a more comfortable retirement by turning their home equity into a reliable stream of income from the bank. 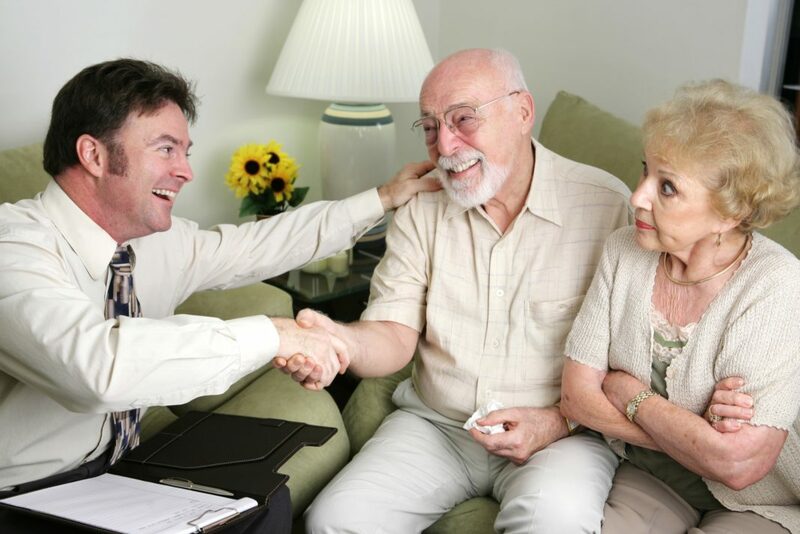 Even a legitimate reverse mortgage, however, should be considered carefully, as in many cases, you must eventually turn your deed over to the bank. In other words, the bank – and not your heirs – could get your home when you pass away. Unfortunately, not all “financial institutions” are the real deal. Seniors can fall prey to a scam artist who proposes a reverse mortgage – and then steals the equity. It’s one of the most complicated scams, but it also yields some of the highest returns for scammers. Scammers posing as charity workers contact seniors and offer up a sad story which, of course, concludes with a plea for funding. Seniors are taken in by the tale, and send along money to help. Charity scams often carry a note of urgency – a telemarketer might note that money has to be given now, or ask that a credit card number be given in lieu of a mailed check. This gives a senior virtually no time to investigate the supposed charity and contemplate whether they should give. Such a scam takes advantage of a senior’s compassion, which can make it especially hurtful. 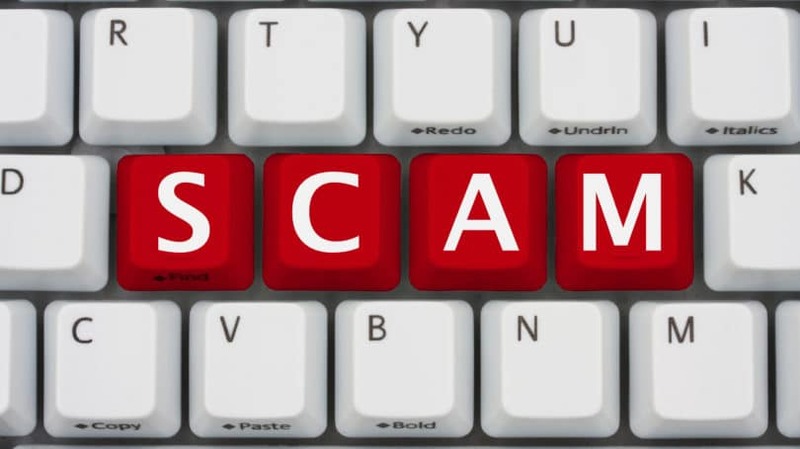 Check scams involve a con artist offering to buy an item from a seller (often an item that has been put up for sale online through Craigslist) using a cashier’s check, which is made out for an amount that is greater than necessary. The scammer then asks that the check be cashed, and the excess funds returned. Of course, the check is fraudulent, but if the money is returned before the seller realizes this, they have lost the funds – as well as the item they put up for sale. Since cashier’s checks are usually as good as gold, some seniors don’t ask questions and are taken in by the opportunity to sell quickly. This is a scam that often confuses the elderly, as it causes them to panic and act without calmly considering the situation. A scam artist calls up the unsuspecting target, and with some basic information convinces the senior that he or she is a grandchild in a dire situation. Then, the scammer asks for financial help because of an accident or other emergency. The scammer then has money wired directly into his or her hands. Of course, the real grandchild is perfectly fine, oblivious that his or her name has been used to execute a scam. Be Suspicious. If you or a loved one is generally trusting, being skeptical can be difficult. However, being generally suspicious of cold calls and unsolicited letters and emails that promise huge benefits is an effective way to stay protected. Ask Questions and Get Information. Before you or your loved one does business with a new company, obtain a name, address, phone number, and website for the person you’re talking to. Just asking a few questions can be enough to scare some con artists away. Become Familiar With Online Safety. Surf only reputable websites, adjust email spam settings to the highest level, and never share personal information like Social Security numbers with anyone online – even if it seems as though your bank is requesting it. Call the bank first. Never Give Personal Information Online. An investment company or charity will never ask for a Social Security number via email. If you or your loved one receive an email requesting personal data, bank routing numbers, or other private information, it’s probably a scam. Don’t Make Hasty Decisions. If a telemarketer pressures you to make an immediate decision, hang up the phone. Never make a decision to hand over money until you’ve had time to do careful research. Check the BBB. The Better Business Bureau is a fantastic tool for confirming the legitimacy of financial institutions, charities, and other organizations. Always check with the BBB before offering up funds. If a company isn’t registered with the BBB, it could be fraudulent. A quick Internet search might also turn up information from people who have been scammed by a similar scheme. Invest Carefully. The most fool-proof investments are done with the assistance of a financial advisor, not a random acquaintance or someone who cold-calls your house. It takes only a few minutes to contact your bank or planner, and it could save hundreds or even thousands of dollars. Find a planner or counselor you can trust, and run all investment ideas by him or her first. Don’t Pay to Play. Never provide money to gain a prize. When someone asks for a routing number to deposit funds, or for shipping and handling charges for a “free” prize, it’s a clear sign that it’s not legit. Protect Others. If you think you or a loved one has been the victim of a scam, contact your local police department to file a report. You can also let the FBI know about the scam artist by submitting your information to the FBI tips website. You can’t always protect your loved ones from unpleasant experiences, but you can reduce the likelihood that they will become victims of a scam. Remember, if an offer seems to good to be true, it probably is. And though it may feel wrong to be suspicious of a charitable organization or a family member’s request for money, it’s always in your best interest to verify the identity and legitimacy first. Always confirm who you’re sharing your personal information with or providing money to before you go through with it. Have you ever been affected by any of the above schemes? How did you protect yourself or your family?